With Wilmington still mostly an island surrounded by Hurricane Florence’s floodwaters and people waiting for hours for handouts of necessities like food, North Carolina’s governor is pleading with thousands of evacuees to be patient and not return home just yet. “I know it was hard to leave home, and it is even harder to wait and wonder whether you even have a home to go back to,” Gov. Roy Cooper said as officials began distributing supplies to residents of Wilmington, population 120,000. The death toll rose to at least 37 in three states Tuesday, with 27 fatalities in North Carolina, as Florence’s remnants went in two directions: Water flowed downstream toward the Carolina coast, and storms raced through the Northeast and in to the Atlantic. After submerging North Carolina with nearly 3 feet (1 meter) of rain, the storm dumped more than 6.5 inches (16.5 centimeters) of rain in the Northeast, where it caused flash flooding, wind damage and prompted at least one tornado warning, the weather service said. Cooper warned that the flooding set off by the Southeastern deluge was far from over and will get worse in places. 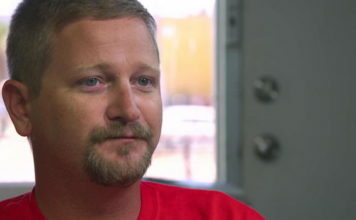 “I know for many people this feels like a nightmare that just won’t end,” he said. 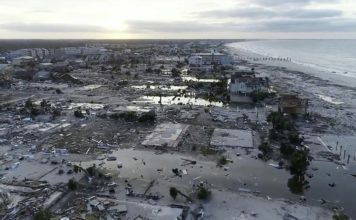 Addressing roughly 10,000 people who remain in shelters and “countless more” staying elsewhere, Cooper urged residents to stay put for now, particularly those from the hardest-hit coastal counties that include Wilmington, near where Florence blew ashore on Friday. A second shelter is opening in Carteret County. Roads remain treacherous, he said, and some are still being closed for the first time as rivers swelled by torrential rains inland drain toward the Atlantic. In South Carolina, two women died after a van was overtaken by rising flood waters near the Little Pee Dee River. Marion County Coroner Jerry Richardson told The Associated Press that the women, detainees being transported to a mental health facility, drowned at around 6 p.m. Tuesday when a van tried to cross a roadway and was overtaken by water. Their names have not been released. Two other people were sent to a hospital for observation. In Wilmington, workers began handing out supplies using a system resembling a giant fast-food drive-thru: Drivers pulled up to a line of pallets, placed an order and left without having to get out. A woman blew a whistle each time drivers had to pull forward. Todd Tremain needed tarps to cover up spots where Florence’s winds ripped shingles off his roof. Others got a case of bottled water or military MREs, or field rations. An olive-drab military forklift moved around huge pallets loaded with supplies. Brandon Echavarrieta struggled to stay composed as he described life post-Florence: no power for days, rotted meat in the freezer, no water or food and just one bath in a week. “It’s been pretty bad,” said Echavarrieta, 34, his voice breaking. Nearby, about 200 people lined up to buy 40-pound (18-kilogram) bags of ice as quickly as a Rose Ice and Coal Co. could produce it. Supplies have been brought into the city by big military trucks and helicopters, which also were used to pluck hundreds of desperate people from homes and other structures. Mayor Bill Saffo said two routes were now open into Wilmington, which had been completely cut off by floodwaters, but those roads could close again as water swells the Cape Fear River on the city’s west side. 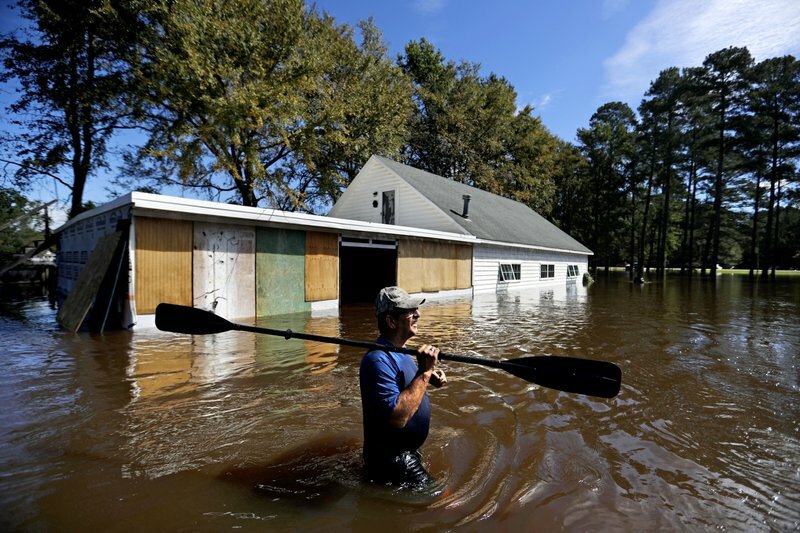 At Fayetteville, about 100 miles (160 kilometers) inland, near the Army’s sprawling Fort Bragg, the Cape Fear River had risen about 50 feet (15 meters) toward a crest predicted to be more than 25 feet (7 meters) above flood level. On Tuesday, logs and other debris became trapped under a rail bridge as rushing brown water pushed against the span. The flooding got so bad that authorities closed a vehicle bridge in Fayetteville after the river began touching girders supporting the bridge’s top deck. Fayetteville Mayor Mitch Colvin said it was unclear if the bridge was threatened. “We’ve never had it at those levels before so we don’t really know what the impact will be just yet,” he said. The river swallowed trees, lamp posts and a parking lot near its banks. City officials warned still-rising water threatened some neighborhoods and businesses that seemed safe, but said the worst was nearly over and life was beginning to return to normal downtown. Businesses were re-opening and owners removed sandbags and plywood from storefronts. Human and animal waste is mixing with the swirling floodwaters, which have killed about 1.7 million chickens on poultry farms. More than 5 million gallons (18 million liters) of partially treated sewage spilled into the Cape Fear River after power went out at a treatment plant, officials said, and the earthen dam of a pond holding hog waste was breached, spilling its contents. The governor said 16 rivers statewide were at major flood stage and more than 1,100 roads were closed. Emergency workers reported rescuing and evacuating more than 2,200 people and around 575 animals, he said. In a bright spot, the Lumber River appeared to be falling in hard-hit Lumberton, about 70 miles (110 kilometers) inland. Power outages in the Southeast also were down, from a high of more than 910,000 to about 245,000, nearly all in North Carolina.